There are few fundamental differences between finance and leasing. Financing is a process where one buys the relatively high priced articles and expected to pay it back by making monthly payments. People usually finance cars, computers, and houses. Leasing is a process of borrowing. But it is not you who buys the article you want. The leasing company buys it instead of you, allowing you to use it for a fixed time line may be for few years. You get to use your commodity for the fixed lease time until the contract expires. Financing might be taken into account as a capital expenditure, while leasing might be considered as an operating expense. So basically in leasing one gets to use the commodity that he/she wants and pay a fixed amount like a rent every month. At the end of the lease, you don’t own the asset, and it is owned by the dealer. The most common and popular way of getting a commodity financed or leased is when the companies or the manufacturers give the offer in association with the direct mail order. Another way of financing or leasing is when there is a third party coming in between the company and the buyer, such as the banks. Many banks are specialized in the field of financing. Whatever the case might be, keep in mind that you are buying the commodity for the full price and expected to make monthly payments in addition to interest. 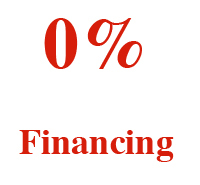 It may not be profitable for you unless there is some kind of advantages with the deal package of financing or leasing. When financing a commodity, you are expected to make a down payment. Although some people make zero down payments, it is always better to put some money, in order to decrease the monthly interest and payment. The remaining amount is amortized or paid back monthly along with the incremental interest. The commodity is solely yours as soon as the last payment has been made. In leasing, a lesser amount is used to determine the incremental interest. The remaining amount is called as the ‘residual’, and the customer can own the commodity if this balance is paid. When you are leasing an asset, if you don’t pay the residual amount, at the end of the lease, you have to return the asset to the dealer. Some people choose to refinance to purchase the commodity. 1.In financing, you loan some money to buy an article. In leasing, somebody else buys the article and lets you use it. 2. The difference becomes apparent in financial calculations especially in terms of tax payments. 3. In the end, financing gives the entitlement of the commodity to the owner, but with lease, you have to pay more to claim the ownership. lancetana. "Difference Between Finance and Leasing." DifferenceBetween.net. October 12, 2011 < http://www.differencebetween.net/business/difference-between-finance-and-leasing/ >. I want to more apply for bank loans but the banker’s only provides loans of old business person. I am a new business person only 2 year’s ago start my business so any finance company/banker’s not provide loans service. I have vary needs one loans so I contact. Great! We are happy that you found this article informative and be sure to connect with Massage insurance and investment solutions.